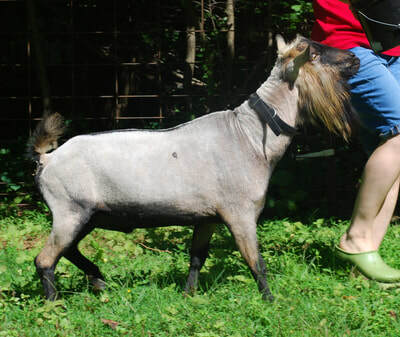 This very special goat is the result of a long planned breeding that came to fruition after much difficulty. Despite my disappointment at only bucks as a result I have no regrets. Both of the resulting bucks are flat boned, uphill, well balanced, with level top lines. 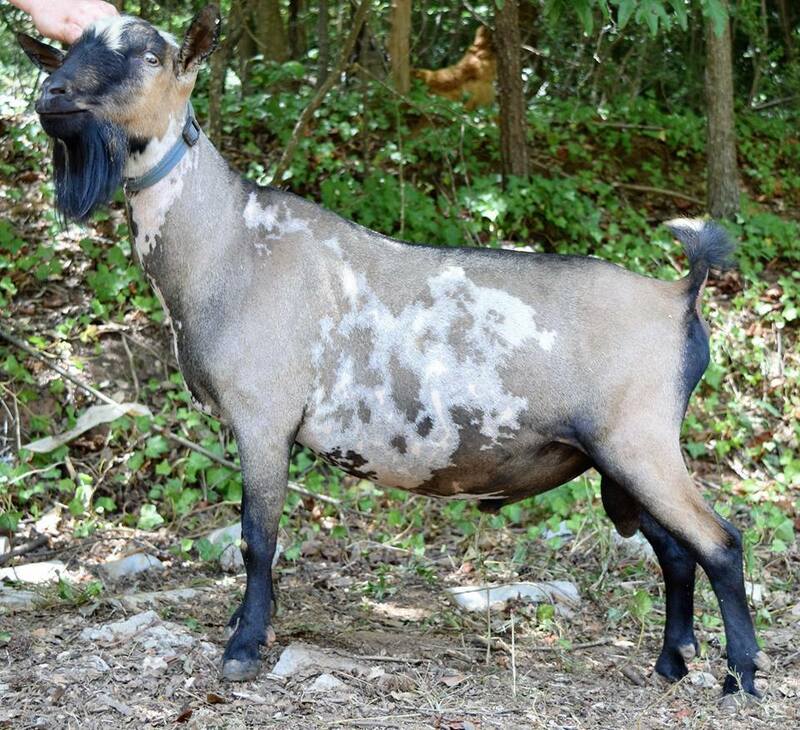 Although Eagle is our retained buck at Wooly Dog Down we still have access to Eagle's twin brother, Aquaman (many thanks to Kim Saulnier). 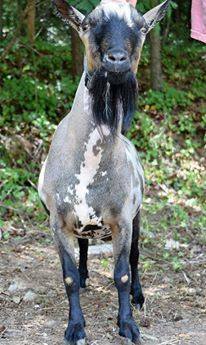 We utilize both bucks because they bring wonderful general appearance and strong udder and milk genetics to the table. Bathsheda, their dam, is one of my favorite does. 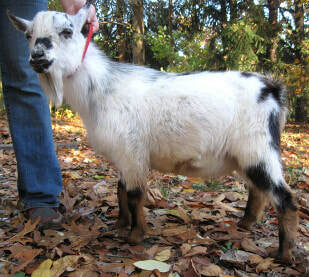 She milks well, has a gentle temperament, and has scored well for LA (VVVV 87 at 6-02) over the years. 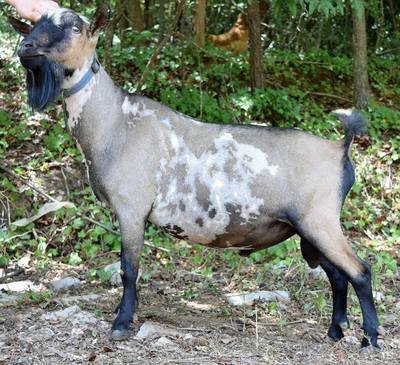 Treble, their sire's dam, is an exceptional doe owned by Anita Beck of Sweet Garden Goats. 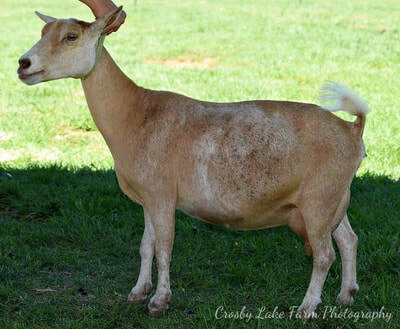 I am very excited to use a buck of my own breeding whose dam I cherish. This year I hope to get Eagle LA scored. Aquaman, pictured below, has one Ch leg, and his owner hopes to show him again. The pictures in the Family Scrapbook are courtesy of Folktale Farm Abby .